The iFilmGroup team had a successful workshop day in London, Ontario, Canada. Those in attendance were made up of some familiar faces as well as some new faces. All who attended had a fun day of learning about acting and film. The day was hosted and lead by iFilmGroup founders Don Hickey and Matthew Marshall. Hickey comes with a history of being part of the film and modelling industry. His film "Ronny’s Bench" has won 8 awards including Hickey winning for Best Actor. Marshall an award winning film director also has close to 30 years of working in the film / television and the theatre industry. He has such award winning films as "Daughter of the King" and "Tuned In". The workshop covered acting exercises, auditions, monologues as well as improv exercises and a social media portion of the day. Both Hickey and Marshall were very happy with the workshop. 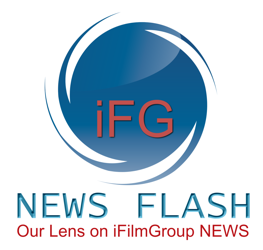 They have a very large group of new people excited to be a part of productions that are being made through iFilmGroup and the production companies associated with them. Marshall and Hickey together have worked with over 300 youth in their long history of productions they have each been a part of. But this new group of interested participants with their enthusiasm excites Hickey and Marshall. Especially when parents have been sharing comments like “we think you offer a better program then ones we have been a part of in Toronto”. One parents said “the knowledge and experience my daughter has received from your program has been so amazing. She has made so many connections and new friends in the film biz. From the first time we walked on to one of your sets we felt so welcomed and part of your production family”. These comments have inspired Hickey and Marshall to look at how they can expand the program. Plans are in the works for more workshops in the near future. Discussions and meetings are being held with a theatre group about workshops where the two will work together in association in putting on workshops where the difference between film acting and theatre acting are explored to help local acting enthusiast be better equipped in both forms of acting. Which will hopefully help them land more parts in productions being done in South-Western Ontario. Hickey and Marshall both feel that this workshop is the starting point of some exciting things to come with the group in the near future.